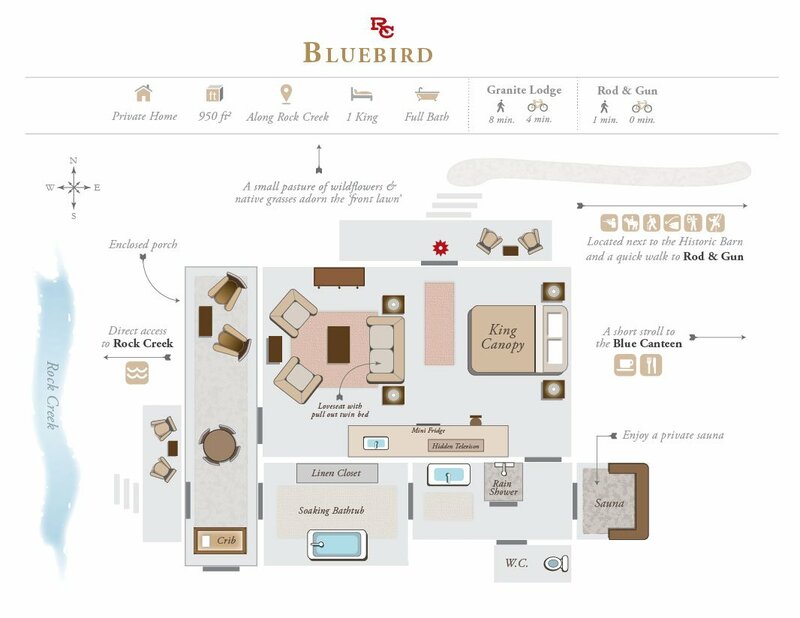 Bluebird is a whimsical and well-appointed one-bedroom cabin, ideal for a couple or small family. Whether you’re looking for a unique romantic vacation or a honeymoon in Montana, this accommodation offers privacy, space and some truly remarkable amenities. The primary living space has a king canopy bed and twin pull-out. Its appealing Audubon décor is enhanced by an audiophile-quality sound system and hidden flat screen television. Relax in the quiet sitting area and enjoy the convenience of a small kitchenette. Bathing options include a rain shower, clawfoot bathtub and eight-person cedar sauna. 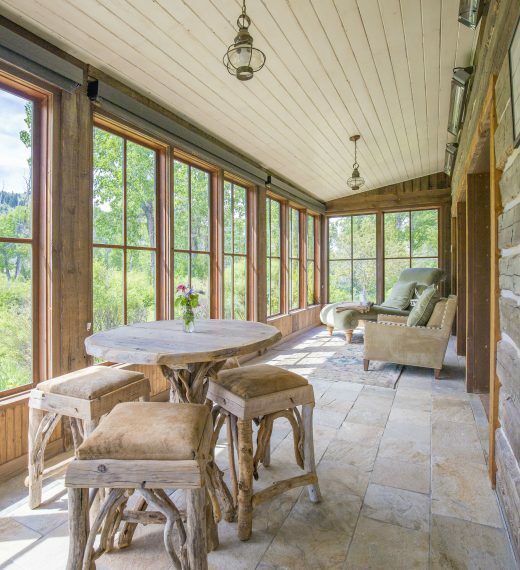 A heated, screened porch opens the cabin to the sounds of Rock Creek all year long, or go a few steps further and delight in a morning fly fishing session. Bluebird is a 950 sq. ft. one-bedroom cabin. 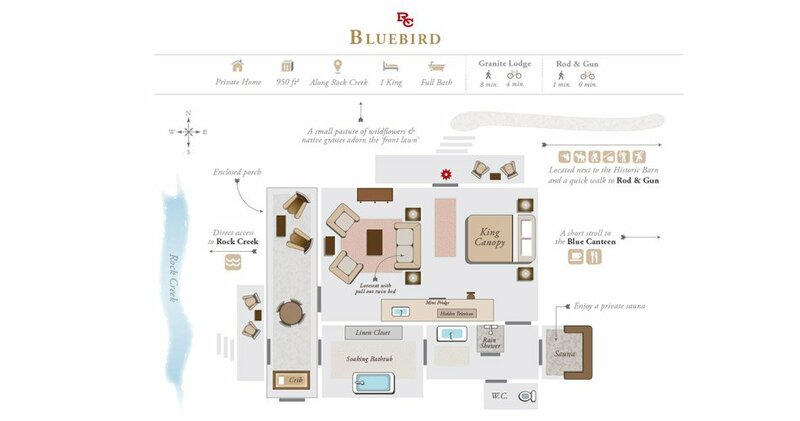 Bluebird is one of our most romantic vacation spots, frequently booked as a Bridal Suite. 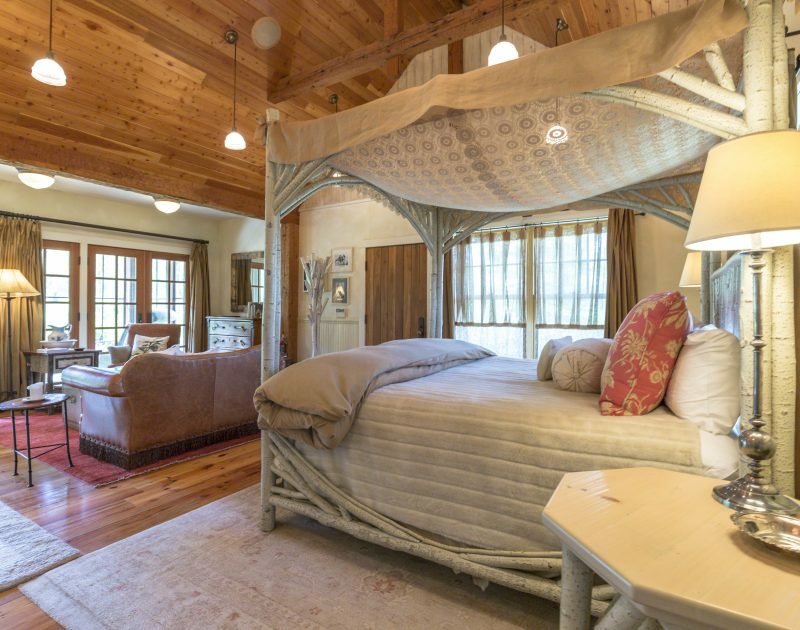 Enjoy a king canopy bed, state-of-the-art electronics, a large bathroom featuring a cedar sauna and a heated screened porch.